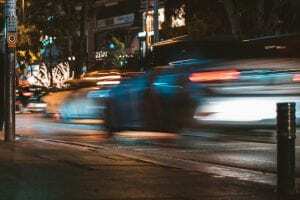 Merrick, NY (April 13, 2019) – Last evening, around 8:35 p.m., a wild police chase took place that led to injuries on the Meadowbrook Parkway, according to apprehending authorities. The accident took place after police observed 52-year-old Kenneth Matson sitting in his Dodge in a Baldwin parking lot with what cops believed to be cocaine in a glass pipe. Officers started to approach the vehicle, which was when Matson threw the pipe onto the passenger side floor. Officers attempted to take Matson from his vehicle but he locked the doors, rolled up the windows, and drove forward. He struck a police vehicle and nearly struck the officers as he started out of the parking lot. Matson continued to elude authorities in various other areas. Nassau Police were finally able to apprehend the suspect on the parkway and injured parties were taken to the hospital. Matson has now received charges including criminal mischief, first-degree reckless endangerment, fleeing from a police officer, and various other charges. Our of every 100,000 New Yorkers, approximately 31 people will be injured in car accidents that happen on our roads every year. It can be a difficult time to face the aftermath of a serious accident. Our attorneys would like to extend our sincere sympathies to those who have been injured and ensure that your rights and protections are upheld to a high degree while you endure the legal system after a New York car accident. Our attorneys at Hach & Rose have handled many claims for clients in the past that deal with car accidents. If you are dealing with the physical toll of serious injuries due to the recklessness of another party or you are struggling emotionally or financially and you are not sure about how to get back on track, we want you to remember that you have many rights. Please contact us for more information at 212-779-0057.